Hokitika Museum is developing a database and research collection of all Westland people who served during World War One in order to enable the making of personal connections, the sharing of information and to support the commemoration of Westland’s role in World War One. 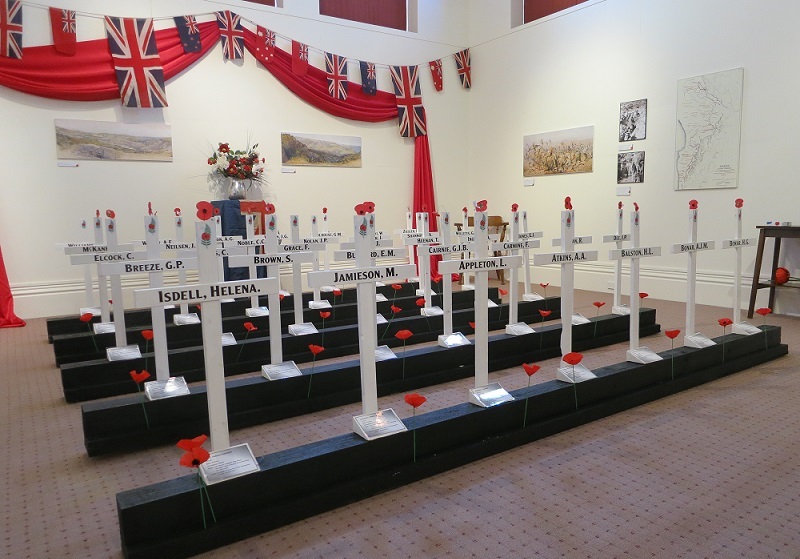 Hokitika Museum’s initial WW100 exhibition was in August 2014 and commemorated the departure of the first 96 Westland men who left New Zealand as part of the Main Body in 1914. The second exhibition in April 2015, explored the story of Westland men in Gallipoli, where it is estimated that about 140 men from Westland fought at Gallipoli and at least 24 lost their lives, with a further 26 wounded. For those at home, news of the first deaths of Westland men was devastating. The exhibit aimed to provide the community with information about Westland’s involvement in the campaign. Hokitika Museum invites people to get in touch if they have information to contribute or can assist in some way. Click on the link below for our information sheet. For more information see our project page on the official NZ World War 100 website.